Workspace Technology believes in the power of effective partnerships. This deep-rooted belief has enabled us to offer an established portfolio of products and services in conjunction with leading manufacturers and reputable supplier organisations. Each of our partners has been chosen due to their quality, innovative and agile solutions that match with our overall brand values. Workspace Technology is a key APC Elite Data Centre Partner. 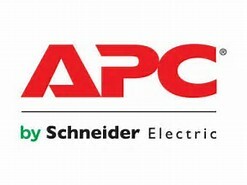 As a participant in “Next Generation” APC’s partner programme, Workspace Technology delivers exceptional levels of expertise helping clients to resolve comms room, server room and data centre challenges across a broad spectrum of infrastructure technology including – power, cooling, fire suppression and data centre management. As a participant of APC’s Elite partner programme, Workspace Technology ensures clients gain full access to qualified and dedicated solution engineers, on-going support and visibility to the fast-moving developments within the wiring closet, server room and data centre infrastructure environment. Workspace Technology is a leading systems integrator for Denco Happel, a premium manufacturer of data centre perimeter cooling technology. Workspace Technology’s experienced team design, install and support Denco’s flagship Ultra and Multi product range. Workspace Technology leads the market in the deployment of Dynamic Cooling Control and champions the implementation of Denco’s CombiCool indirect free air cooling technology which helps improve the energy efficiency of data centres for our clients across the UK. Workspace Technology is an Approved Systems Integrator for Riello UK. The Riello UPS product range includes UPS systems and emergency standby power solutions from 350VA to 6MVA, static transfer switches, inverters, generators and switchgear. As an Approved Systems Integrator Workspace Technology offers a complete design, installation and support services for Riello’s wide range of UPS systems across the UK. Workspace Technology is an authorised Premier Dealer for Himoinsa one of the world’s leading manufacturers of power generator systems. Himoinsa supports the latest technologies, design software, structural calculations, specialised robotics and fully automated production systems that culminate with high quality and technical excellence. Workspace Technology integrates Himoinsa’s comprehensive range of diesel generator sets as part of turnkey mission critical power solutions for data centre, commercial and industrial applications. Workspace Technology are a delivery partner of Bryland Fire who are industry leading suppliers of the design, installation and maintenance of fire suppression systems. Providing FM200, Novec 1230, IG-541 and IG-55 systems that can be used safely causing no harm to humans or data. Workspace Technology work with Aqua Cooling - the UK’s leading specialist in industrial and commercial process cooling systems - to offer clients a range of quality data centre cooling solutions. By working with reputable partners, we can supply the latest innovative technology to ensure that your data centre infrastructure is operating as a first-class facility delivering return on investment. For more information regarding products and services provided via our partnerships simply contact us where our team are on hand to deal with your enquiry.